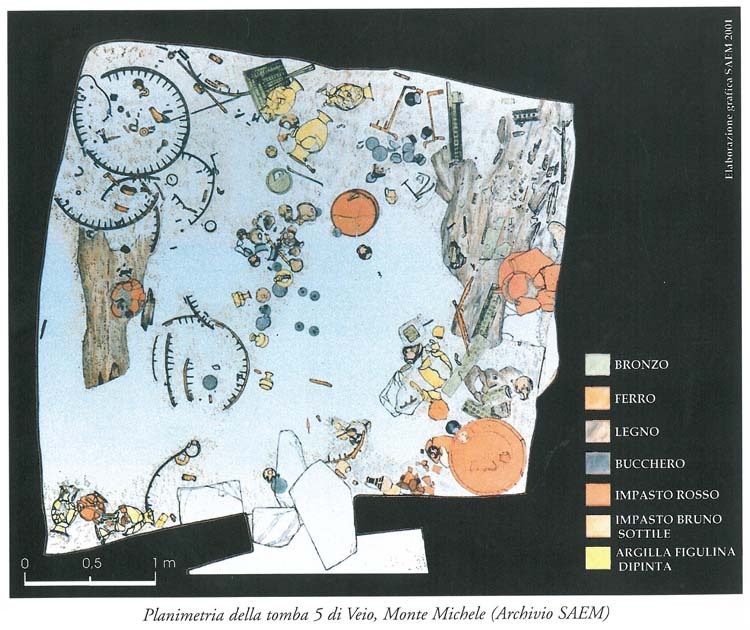 This blog post shows the process of digitisation and reconstruction of tomb number 5 in Monte Michele. The Monte Michele tomb number 5 is situated in the necropolis of Veii, on the northern side of the road between Capena and the north-east gate at the Veii city walls. It was the central tomb of a group of six tombs: as these tombs were separated from the rest of the necropolis, archaeologists suppose that they belong to a single family clan. It is a princely tomb from the middle Orientalising period, dated 670-650 BC. It is a chamber tomb approximately 4,5 by 4,5 meters square, with two small cellae (side chambers), accessed from a dromos, the access to the entrance. It contained four interments, probably of members of the same family. In the left side chamber, the skeleton of a child without grave goods was found on the ground, in the right side chamber the archaeologists found the cremated remains of a man aged 18 to 20 years, contained in a large stamnos (a vessel for storing and mixing liquids). The large chamber contained two interments. On the left there was a woman, identified as such from the grave goods, which chiefly consisted of ceramics and feminine jewellery. On the right side of the chamber, a bronze urn contained the remains of a man. His grave goods were situated on the floor, occupying almost the entire space of the room. Unfortunately, despite its importance, the tomb is today difficult to reach and for this reason it is out of the tourist circuits in the Veii Necropolis. Moreover, its structure, excavated in tuff, is highly perishable. 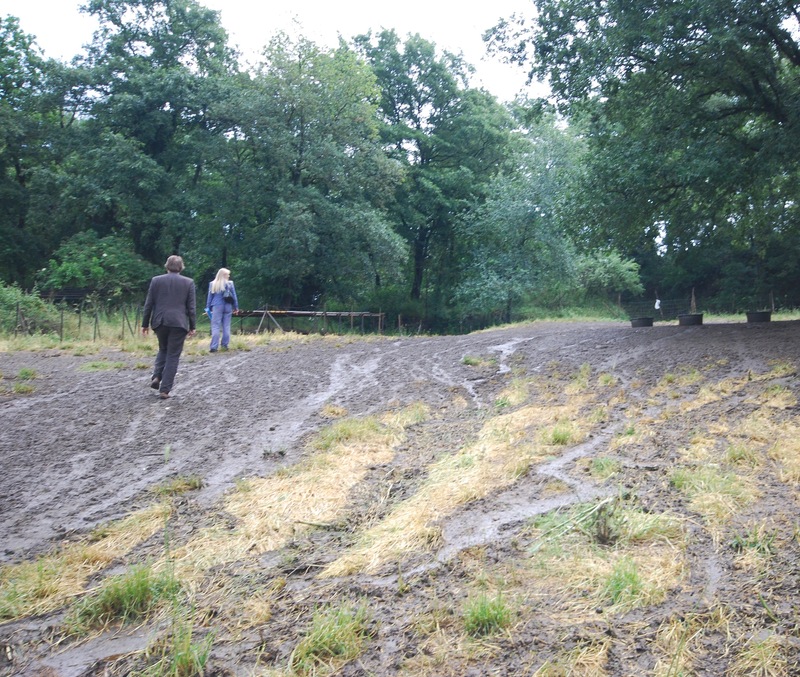 The lack of a fence and some missing roof elements caused significant erosion of the walls. Only the grave goods, which are exhibited in the Etruscan Museum of the Villa Giulia in Rome, are accessible to the public. For this reason, one of the main goals of the Etruscanning project is the digital reconstruction of the tomb and of the objects found in it. The result of our work will be a digital application that will be shown in the Villa Giulia museum, next to the objects, and in the Archaeological museum of Formello, close to the necropolis. Thanks to this application, the public of the two museums will be able to appreciate the tomb and to discover the objects in their original position, with a particular focus on the archaeological process of excavation and study of the remains. The first step in the process is the digitisation of the tomb itself. Available technologies offer different possibilities, depending on the available equipment, on the characteristics of the object that has to be digitised and on the result that has to be achieved. 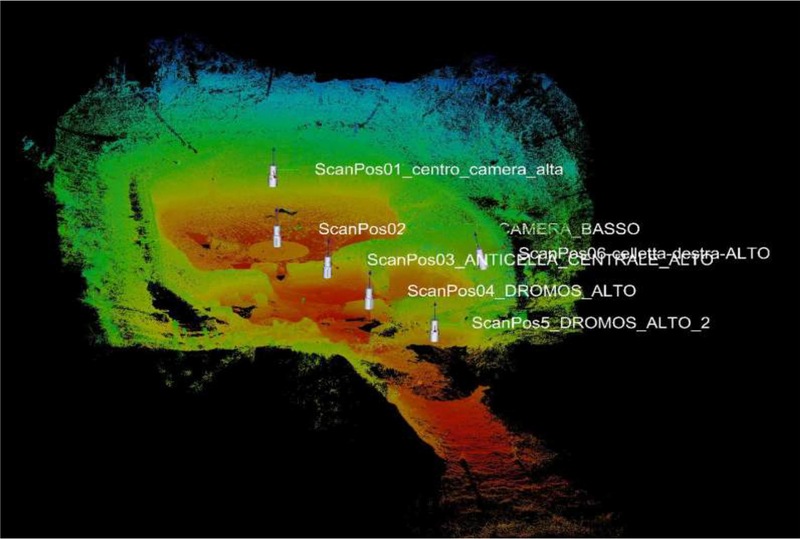 In this project, CNR-ITABC decided to test and compare two different techniques: laser scanning and digital photogrammetry. 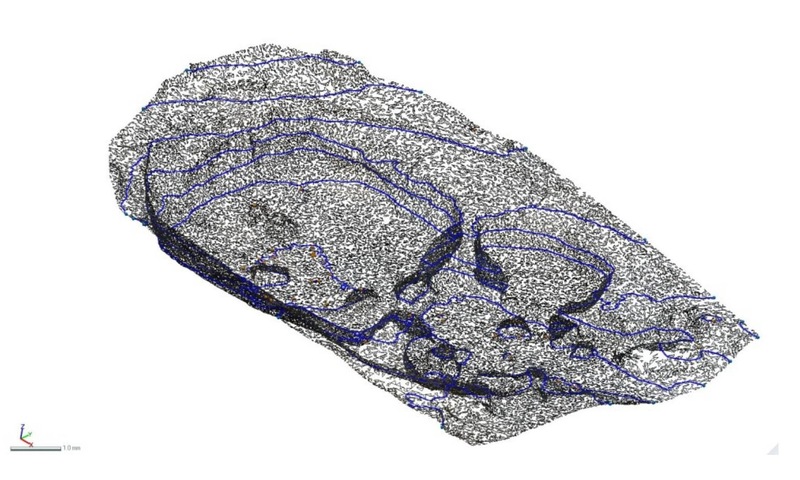 The laser scanner technology acquires a dense point cloud with high accuracy, the result is a highly detailed 3D model of the scanned object, which however needs to be mapped with external colour images. 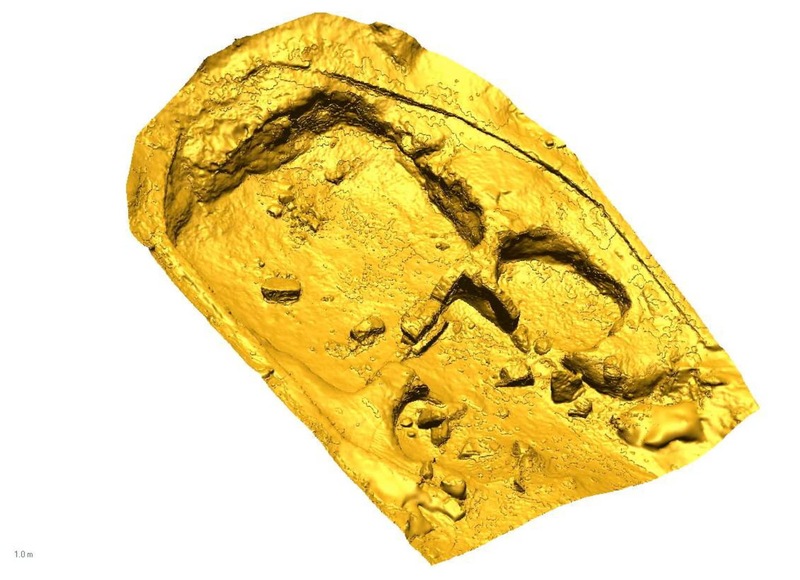 The photogrammetry technique allows us to determine the geometric properties of an object from digital photographic images. This method, in combination with the use of dedicated software, allows us to built a 3D model of an object simply by acquiring a set of images of the object itself. To scan the tomb area, the CNR team used the Riegl LMS Z390i laser scanner, scans were made from 6 positions for a total of more than 5 million points. The result is a model of 900.000 faces. 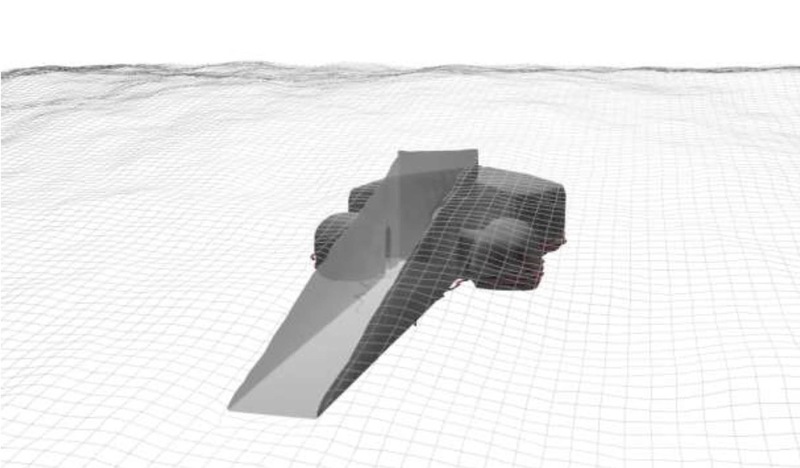 In order to built a model with the second technique, the CNR team acquired about 100 images of the site that afterwards had been processed with Agisoft Photoscan, a software that automatically builds textured 3D models from still images. The comparison of the two models had been carried out in Rapidform, a 3D software which revealed that the difference between the two models is included in the range +/- 4 cm and the average error of 3 mm, values that are acceptable in a virtual reality application. In this project, the virtual reconstruction is not only a digital replica of a physical object, but includes the study of all the available information on the archaeological site in order to re-create its original state. Unfortunately, at the time of its discovery the roof had collapsed on the tomb. The structure was already compromised so that we cannot be sure about its original volume. Some remains show that beams were sculpted on the roof, resembling contemporary houses, and that some parts were plastered in red. 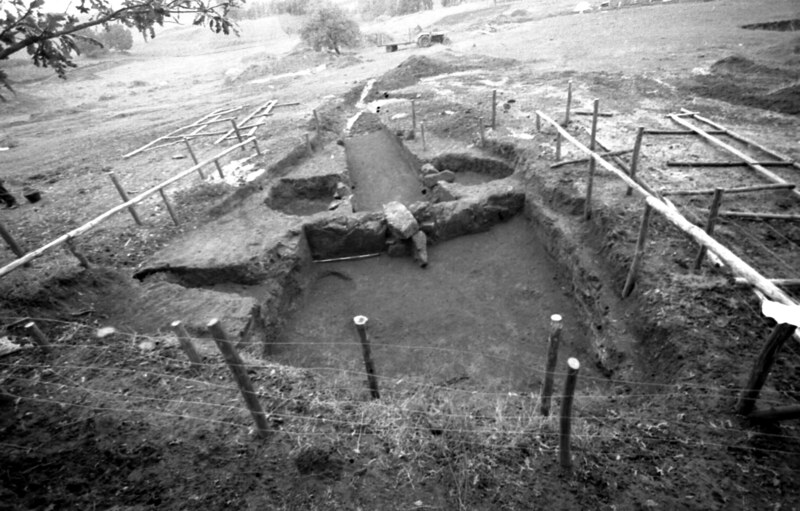 By comparing the images of 1980, taken during the excavation of the tomb, with the actual ones, it is immediately clear that the structure of the tomb has changed in the last thirty years due to the erosion of the tuff. 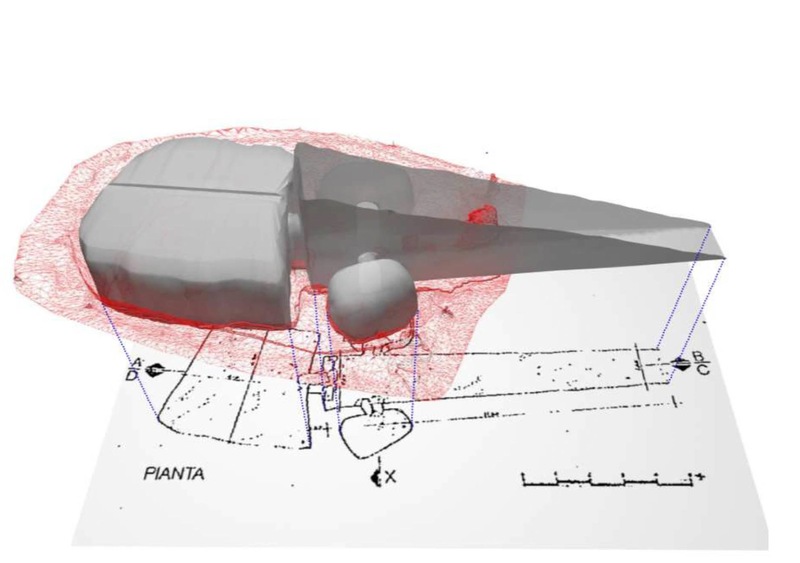 For this reason, in order to built a hypothesis of the original structure of the tomb it was necessary to compare the actual 3D model with drawings and images taken during its excavation. 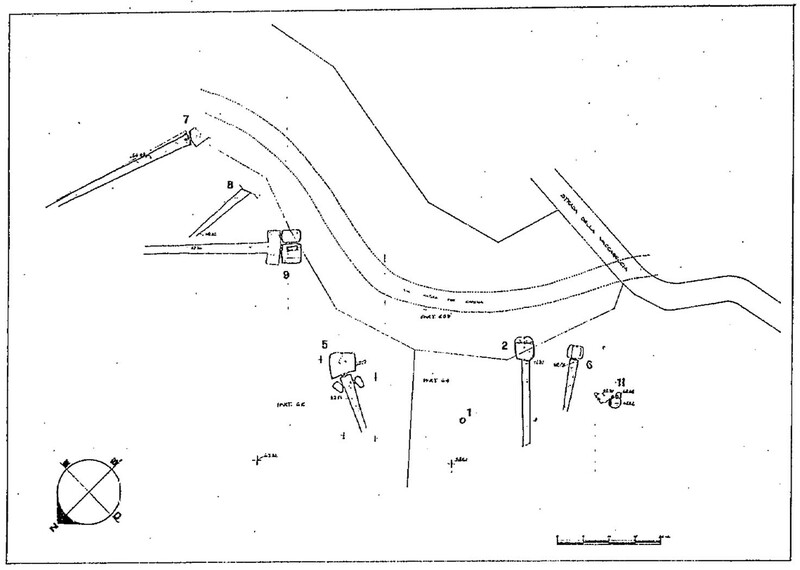 Cross sections were extracted from the 3D model and matched with the map of the excavation. In this way it was immediately clear in which parts of the structure there was still a correspondence. Then the missing parts were built with the help of the archaeologist Francesca Boitani, who excavated the tomb, and by the comparison with other tombs of the same period and the same area. The threedimensional reconstruction of the tomb gives us the opportunity to visualize and better understand its original structure, as it was very different from the remains of it that can be seen today.